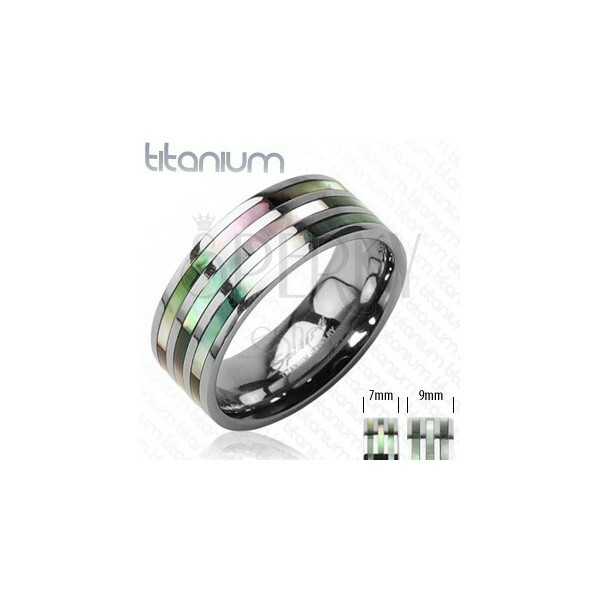 Titanium ring in silver colour with three pearly stripes with colourful reflections. By buying this product you can collect up to 18 points as a voucher of $4.86. Your reward points. A titanium ring in silver colour has shiny smooth surface. 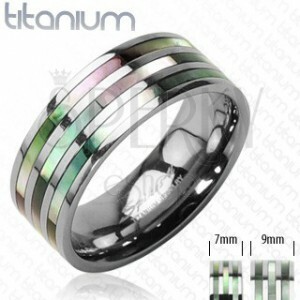 It is decorated with three thin pearly stripes in rainbow colours, alternating with titanium lines.